Conklin: [voiceover - memories] This is not a drill, soldier. We clear on that? This is a live project. You are go. Training is over. Training is over. 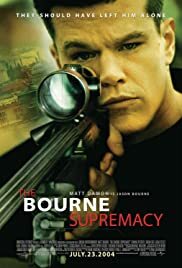 Q: Any recommendations for movies similar to "The Bourne Supremacy"? Q: How did Kirill know that Bourne and Marie were in Goa, India? Q: Why were the Neskis assassinated? Matt Damon returns for the second of the "Bourne" movies in "The Bourne Supremacy." Living in India with his girlfriend (played by Franka Potente), Damon's worst fears comes true when he is pursued by a secret agent (Karl Urban). Believing it is the CIA out to kill him, Damon takes the fight to them, unaware that Urban works for a rich, Russian businessman who wants Damon dead to tie up loose ends that began in the first movie. Complicating matters is that Urban has framed Damon for the deaths of a few CIA agents. With two groups out to kill him, Damon not only has to fight to stay alive, he has to figure out why he is being targeted for termination and by who. Although "Supremacy" has a new director, the feel of the first movie carries over to this one — in other words, if you liked "Identity," you will like "Supremacy." Fast pacing, frenetic action, a likable hero, and a new revelation of Damon's past all lead to a very entertaining movie. 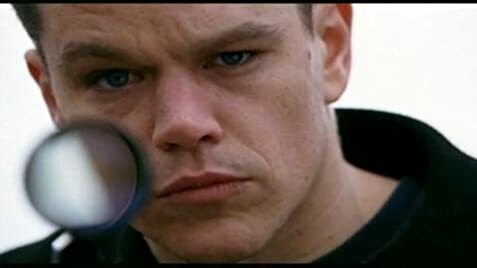 My most memorable, movie moment of "The Bourne Supremacy" is the scene when Damon fights another Treadstone agent. The fight is raw, brutal, and nasty — something "Bourne" fans have come to expect.